News and features from the world of books, presented by Mariella Frostrup. Including a new edition of the Oxford Companion to Children's Literature. The first edition of The Oxford Companion To Children's Literature was published just over 30 years ago. Now Daniel Hahn has taken on the huge task of updating the book to reflect recent developments - including entries on David Walliams, Jeff Kinney and JK Rowling. He talks to Mariella about how he decided what to put in, and what to leave out, and why he tried to include opinion as well as facts. Also on the programme, Charlotte Eyre from The Bookseller, and judge of a new YA prize, tells Mariella about trends in Young Adult fiction and why every author wants a film deal. 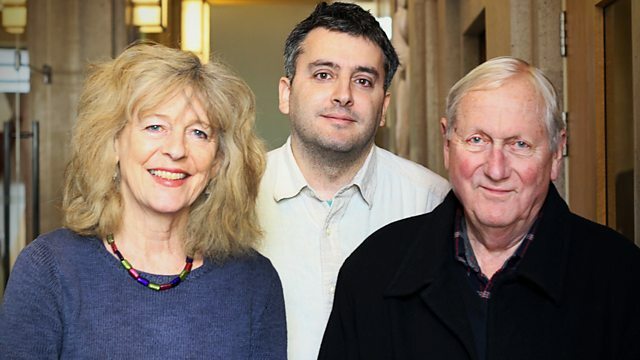 Award winning author Frank Cottrell Boyce chooses the Book He'd Never Lend, not even to his mother-in-law and two children of novelists- Renny Taylor and Deborah Moggach - celebrate the reissue of their parents' children's books and share memories of growing up with a writer.